Profitability is provided in the Enflex F14, available from Heat and Control Pty Ltd , due to the increased precision in dispensing that this machine offers, according to the company. 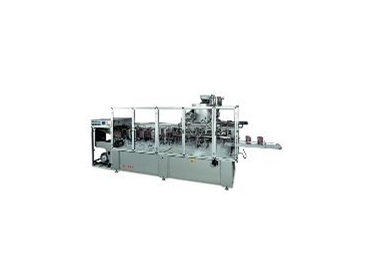 The Enflex F14 is a horizontal automatic packaging machine for shaping, filing and sealing sachets. It is designed for the economical packaging of products in powder, granule, liquid, paste and other forms into sachets of three or four seals. The intention of the Enflex F14 is that after folding the thermosealable film into a "V" shape, it forms the sachets and then cuts them individually. Subsequently, it moves them to the stations devoted to opening and filling (two separate stations) with a final pressure closing the sachet and sealing the upper part. What the company describes as imaginative and innovative engineering has resulted in the introduction of the Enflex F14 for stand up pouches. Shaping, filling and sealing flat-bottom pouches is a standard task for this automatic horizontal packing machine. It is designed for packaging products in powder, grain, liquid, paste and other forms. The successful special mechanism perforates the film of thermosealable material on both sides of the sachet, allowing the fold to be joined to the opposite side of the film and forming the stable base of the sachet. After folding the film of thermosealable film into a "W" form, it shapes and cuts them individually, before moving them to the two stations devoted to opening and filling with a final pressure closing the sachet and sealing the upper part.